Sulwhasoo Evenfair Perfecting Cushion Foundation added to my Base makeup collection! Air Cushion makeup is now one of the most popular base makeup products in Asia, only second to liquid foundation. Many people praise of its ease and speed of completing a flawless complexion. 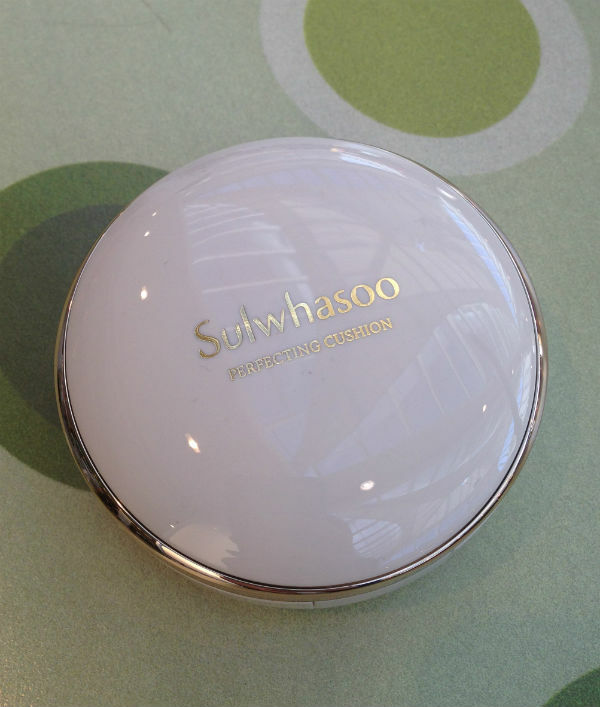 Out of all the brands, IOPE and Sulwhasoo are the two most well-known Korean brands producing the Air Cushion line. Sulwhasoo is considered as one of the luxurious Makeup and Skincare brands in Korea. It’s not easily found in North America, I bought mine on Amazon. The seller was actually from Korea (lucky me) I can’t wait to share it with you as soon as I receive this hot babe in the mail. It’s compact and light to bring with you. The pearly white packaging is like the flawless complexion in every girl’s dream. The compact is rimmed in gold about 1-inch thick so it’s still easily portable and easy to place in our purses. Once opened, the air cushion sits neatly in its little designated spot. Sulwhasoo is nicely embroidered on the on the ribbon. The application side of the air cushion is of a darker brown colour and of a velvety finish. It’s to create to a radiant finish base complexion. Then we click open the lid, the foundation sits on the bottom of the compact. The divider is a smart design to ensure freshness of the makeup products and to separate the used sponge (air puff) from the foundation itself (decreases the chances of bacterial growth & retain the moisture of the foundation). Remove the plastic lid, VOILA! There is our star of the day! Then it’s time to see its makeup effect, shall we? 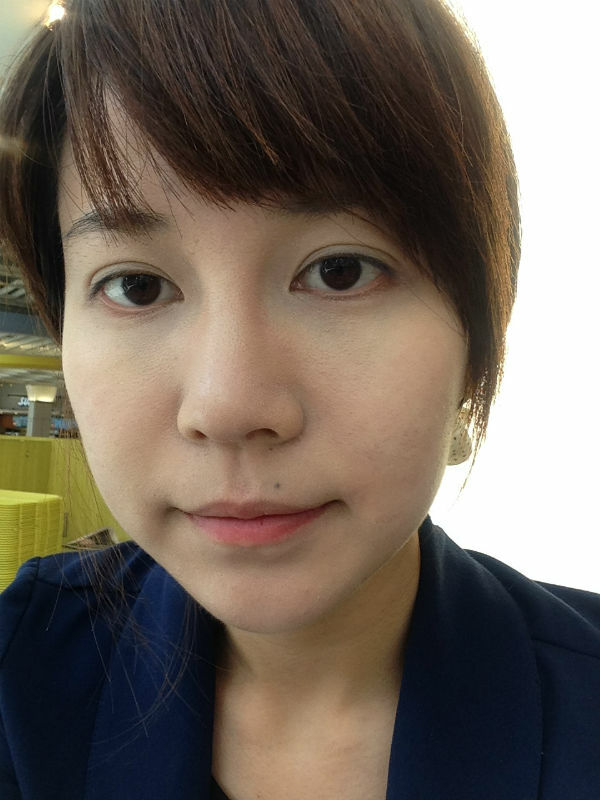 Overall, my skin is looking dull and a little gloomy. 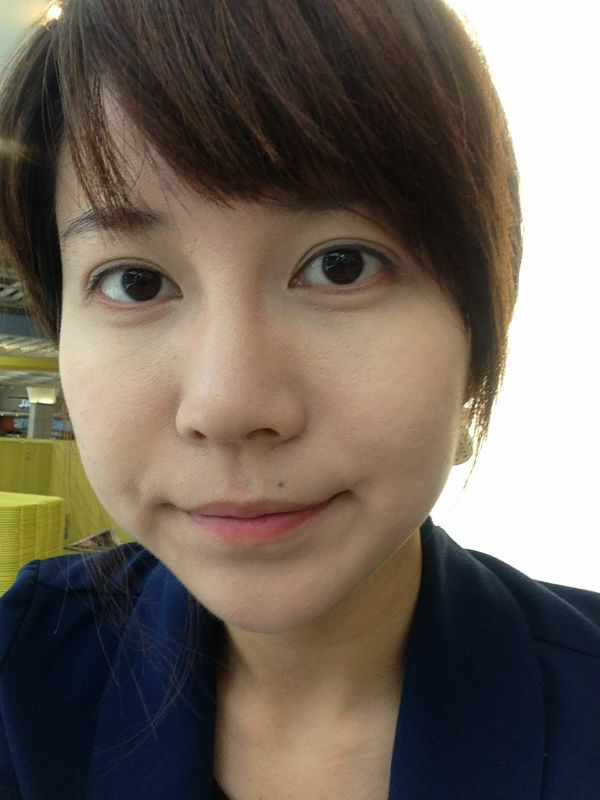 Again, I didn’t use any primer or colour corrector so that I can show you the truth effect of the foundation itself. 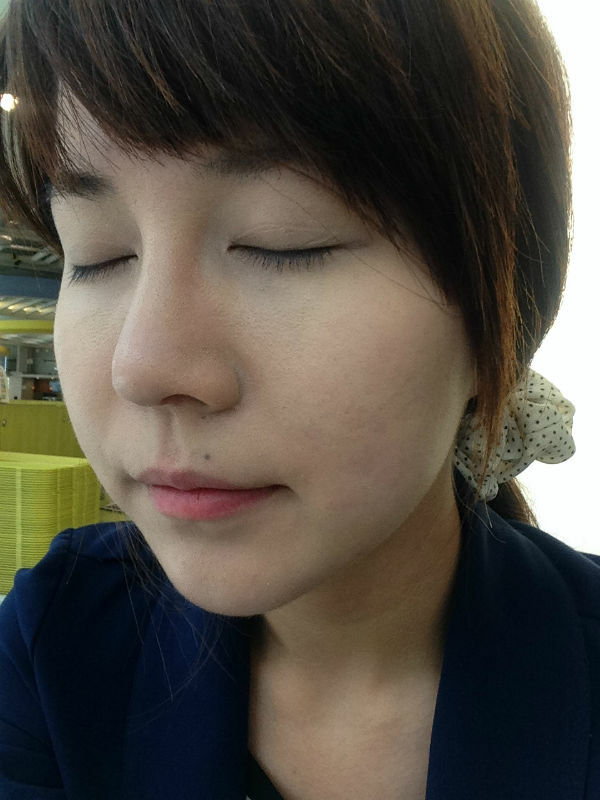 I lightly press the foundation-absorbed puff onto my skin, and patted all over my face. Just like that, we are done in less than 2 minutes! 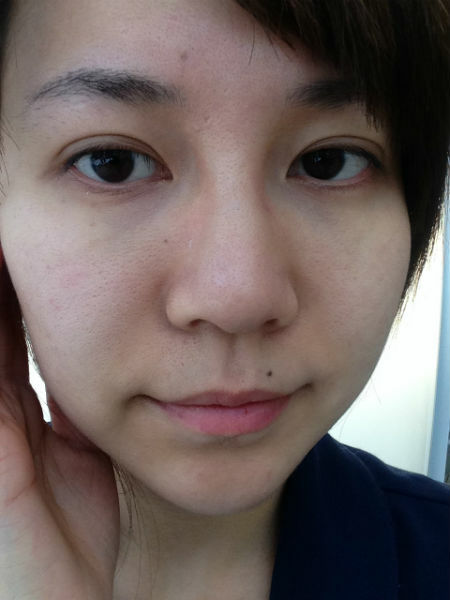 My dark circles are still showing but skin is definitely looking more evened out and more “awake”. Afterwards, I just dab some blush and eyeliner plus eye brow, ta-da! Makeup done within 5 minutes! 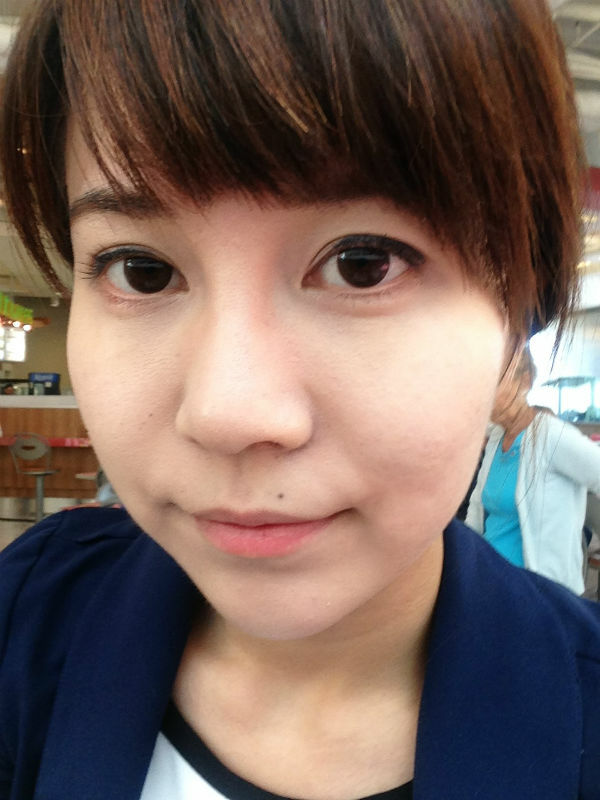 No wonder people are falling in love with Air Cushion makeup! Do you know how many minutes you just saved for sleeping in!!??!?! @__@ it’s a miracle indeed! I have combination skin so while the finished look appear beautiful and luminous, it wears off on me in 3-4 hours. However, I believe the product fair better for dehydrated and dry skin ladies/gents. 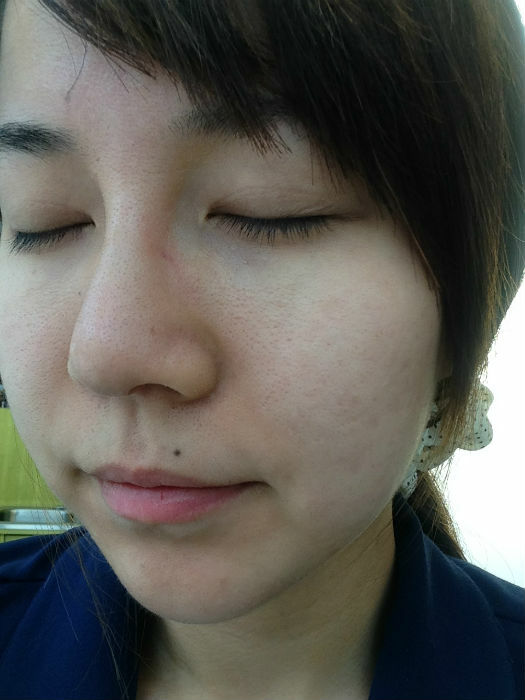 After 3-4 hours, I usually have to touch up and blot away excess oil on my face. So I would use a oil-absorbing or shine-free primer as base before applying Sulwhasoo Evenfair Perfecting Cushion Foundation. I hope you enjoyed the mini-reading time. Have fun and being wild with your makeup adventure!